Drain cleaning, both commercial & domestic. 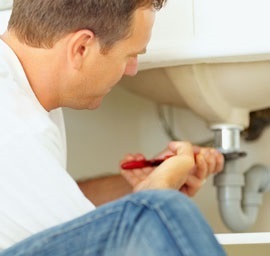 Services provided throughout the county by experienced Dublin plumbers. Emergency plumber service, 24 hours a day, domestic, commercial or industrial - 01-2603222. Our Dublin Plumbers provide a complete service for all plumbing tasks call 01-2603222 for a free quote. Plumbers In Dublin, providing an affordable domestic & commercial plumbing services for 40 years. Our team of fully qualified plumbers in Dublin all carry R.G.I. accreditation. Therefore they are available work on standard plumbing projects as well as natural gas. Hence whatever plumbing project you need, we can undertake it. Our plumbers cover the length and breadth of the county providing plumbing services to both domestic and commercial clients. In addition we operate 24/7-365 thus emergency plumbers are always on call. This gives our clients total peace of mind. We happily offer free expert advice on any plumbing related issues. When you require a quote for free, with no strings attached just call us. Furthermore we don't charge for call outs, i.e. traveling to and from your property! Finally our company never adds hidden charges to any bill. This is because all of our prices are given up front and adhered to. Consequently this means you will not panic while the work is completed as you will know exactly where you stand. Make sure you only use a fully insured plumber in Dublin! Plumbers in Dublin carry comprehensive insurance therefore you will never need to worry. Because of this, unlike some plumbers you will always have recourse and be able to avail of our guarantees. All parts fitted, 1 year parts and labor warranty and all boiler installations 5 years parts and labor. Sadly you won't get this from every plumber, hence the reason to choose carefully. Our management ensure we only employ the highest standards of professional plumbers at all times. This has resulted in our excellent industry reputation during our 30 years of trading.Count on us when you need specialist drain unblocking just click here . Drawing on over 40 years experience, yes, you heard right! our crews can tackle any plumbing job you may have no matter what the size or nature. Need an emergency plumber fast? Don't panic, we can help! When the worst happens, you can count on our Dublin plumbers to be there to save the day! Unlike some of our competitors, our phone lines are indeed manned 24 hours a day and one of our on call plumbing staff will aim to be with you within 60 minutes or less throughout the whole of county Dublin. We operate a fully equipped drain cleaning van with the latest drain cleaning equipment on board. This includes augers, drain rids and hoses with provide over 3,000 P.P.S.I. pressure. We also have a top of the range C.C.T.V. system so you can view the problem before we begin work if necessary. 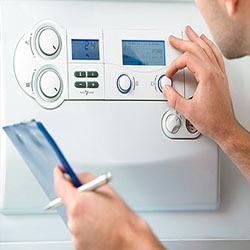 Boiler servicing, repairs and full boiler replacements available from the boiler installers you can trust!